We plant purple lotus in a little pool on my front yard. I captured this blooming moment a week ago. I was glad that I did it, because rain falls down every day since then. Lotus won't bloom if there isn't enough light of sunshine. 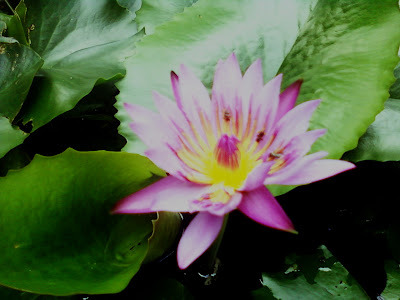 Here, I want to share the beauty of blooming purple lotus. For more beautiful flowers, you can visit Today's Flowers. Farmer, Rice Field and Blue Sky.